Ever wondered how you could incorporate your love for ‚The Sound of Music‘ into your big day? Fans of the movie „Sound of Music“ will never forget the marriage between Maria and her Captain von Trapp. 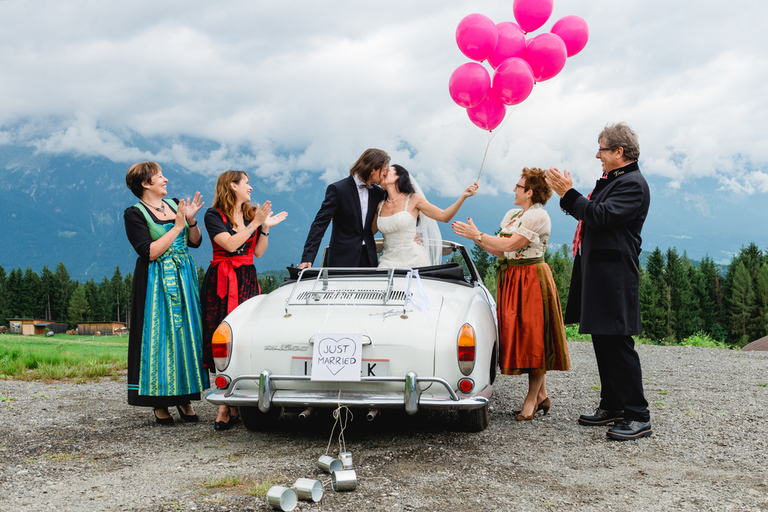 We at Hochzeitsredner Tirol can arrange a wedding ceremony that provides the quaint charm of the movie, including lots of ‚Sound of Music‘ themed wedding ceremony details along the way! We can provide an englisch speaking officiant, dressed in Dirndl or Lederhosen, and a singer, that sings original songs from the movie. Hearing the Song „Edelweiss“ after your first kiss will fill the air with romance for any Sound of Music fan!